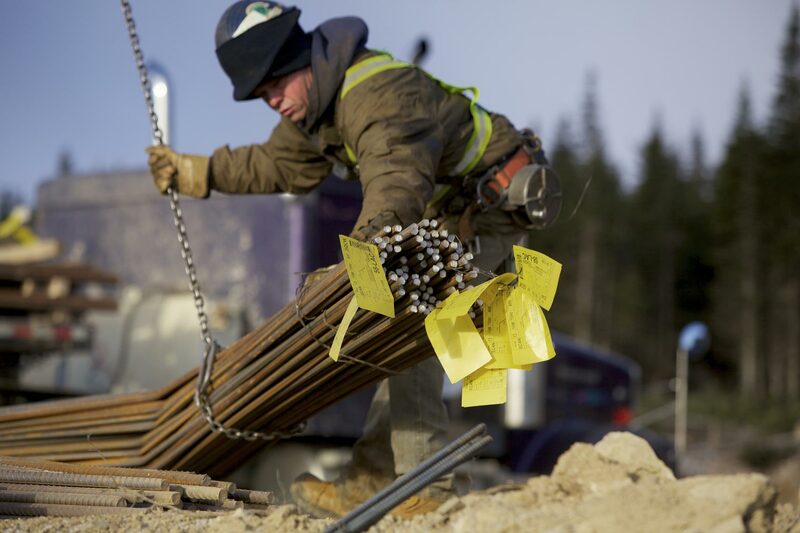 Iron worker unloads a group of steel rebars (reinforcing bars) for the foundation of a wind turbine during construction of the Lac Afred wind farm in eastern Quebec, Canada. Construction of green, renewable energy in Quebec is rapidly expanding. Construction of green, renewable energy in Quebec is rapidly expanding.